Spartans head coach Tom Izzo has gone on the record with his thoughts of the Michigan Wolverines plenty of times in the past, but with it being the Spartans only game this week, he's taking the high road. "You guys cause us to make sure those players handle things properly because the last couple of years I've stated things and pretty soon they take on a life of their own," Izzo stated as he wagged his finger. "Not this year." 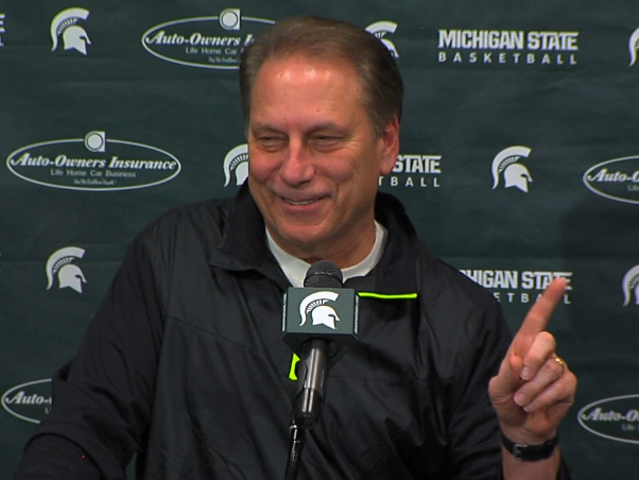 The rivalry seems to feel more heated across the spectrum and Izzo feels that energy. "I think football has intensified everything a little bit because all of a sudden a team that wasn't winning many games is starting to win games and rivalries are university wide most of the time, not just football or basketball or hockey," Izzo added. The Spartans travel to Ann Arbor Saturday.